Since the UK made history recently by deciding to follow the international practice of naming storms, it seems they are coming one after another! After the damage and disruption caused by Storms Abigail to Frank, the country is now facing further problems from Storm Gertrude - its storm-force winds are set to hit the UK and cause structural damage to buildings.­ Builders and renovation contractors should be ready to deal with the aftermath. 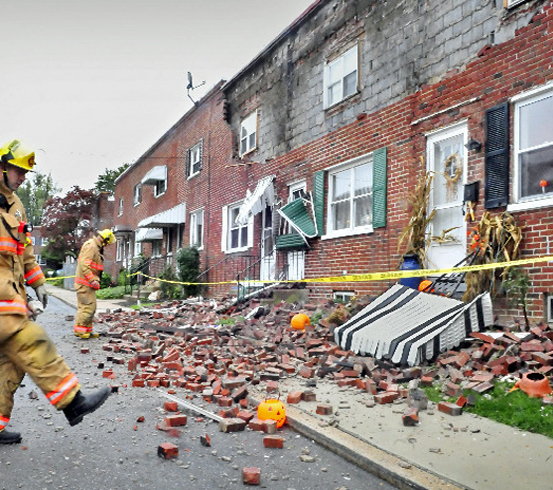 The repairs required after stormy weather are many and may include structural damage such as the collapse or bowing of vulnerable house walls. It is often the case that when old cavity walls are subjected to excessive wind loads, hidden defects become apparent. 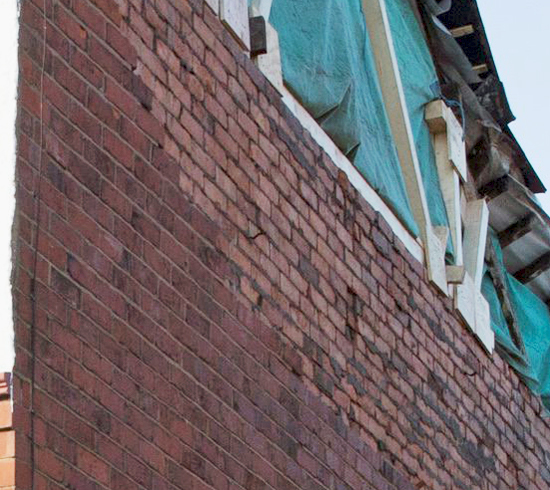 Many old houses suffer from wall tie failure, a defect that can leave the facade of a building free-standing rather than securely connected to the main body of the structure. Offering unrivalled protection against corrosion, stainless steel is the ideal metal for durable and corrosion-resistant wall ties.­ These precision engineered brick ties feature innovative 'masonry-screw' technology to ensure fast and effective installation. 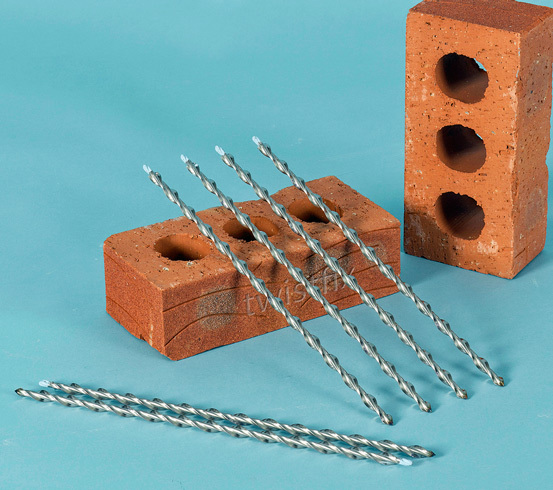 Providing dependable brick-pinning to immediately and securely repair cavity wall tie failures, the self-tapping helical ties have been independently CE Mark-tested in the UK to the latest European Standards (EN845-1:­2013).­ The ties deliver consistent quality and are the preferred choice of many professional wall tie installers. 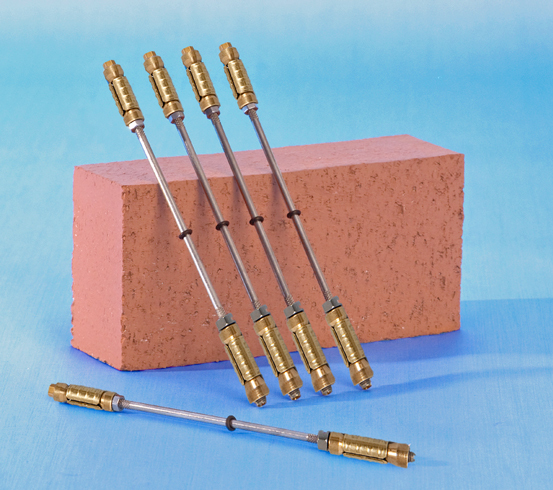 With an austenitic stainless steel bar and a tough expansion sleeve made from brass, these wall ties are made for tying applications in heavy-duty engineering brick or concrete construc­tions. The mechanical cavity tie is factory-set to a dedicated torque level to ensure that, after being opened by its a cone-expansion mechanism, the tie-sleeve is forced to grip tightly within holes drilled in the inner and outer leaves of a masonry cavity wall. 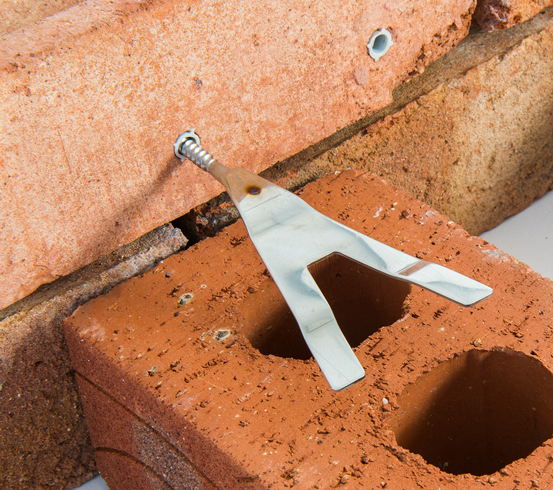 Many of our wall ties are available as part of convenient, cost-effective kits. Make sure you are ready to deal with the growing number of wall tie replacement jobs caused by Storm Clodagh - choose from the Twistfix collection.